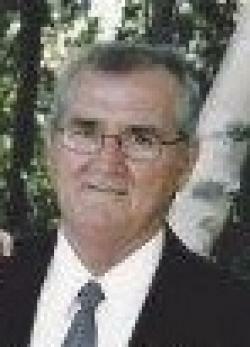 The death occurred peacefully at the Prince County Hospital, Summerside, on Tuesday, March 19, 2019, with his loving family by his side, of Donald Michael Profit of the Margaret Stewart Ellis Home, O'Leary and formerly of Alberton, age 68 years. Born at Profits Corner on December 13, 1950, he was the beloved son of Carl A. and Janie M. (nee Harper) Profit. Loving father to Lisa (Shane) Paugh of Unionvale, Natasha (David) Adams of Summerside, and Jillian (Tyler) DesRoches of Summerside. Cherished grandfather to Olivia DesRoches, Gracelyn Paugh, Janie Paugh, Kenley Paugh, Austin Adams, Daniel Adams and Tenneson Adams. Dear brother to Edward (Margaret) Profit of Summerside, Emmett Profit of Alberton, Leo (Anne) Profit of Oromocto, N.B., Jean Shea of Toronto Ont., Charlotte Christopher (deceased), Rose Profit of Alberton, William (deceased), Nettie (Wayne) Aylward of Pleasant View, Louis (Louise) of Red Deer, Alberta, Jacinta (Laurie) Jones of Miminegash, and Gloria (Gerard) Kennedy of Waterford. He is also survived by a sister-in-law, Bonnie Profit of Woodvale, and by aunts, Rachael Miller of Tignish,Annie Harper of O' Leary, Catherine Profit of Summerside. He will be sadly missed by his many nieces, nephews, cousins and friends. He was predeceased by niece and nephews, Mark Profit, Kimberly Shea, Leigh Shea and Carl Profit. Resting at the Rooney Funeral Home and Chapel, Alberton. Visiting hours Friday evening from 6:00 to 8:00 p.m. Funeral Saturday morning from St. Simon and St. Jude Church, Tignish for funeral mass at 10:30 a.m. Interment later in the church cemetery. As an expression of sympathy, memorials to the Margaret Stewart Ellis Home Activity Fund, St. Simon and St. Jude Cemetery Fund or the Western Hospital Equipment Fund would be gratefully appreciated.